This will be the 5th annual event for the employees of UPS Spartanburg, SC. The event will be hosted by the UPS Health and Safety Committee and will be held inside their garage area. 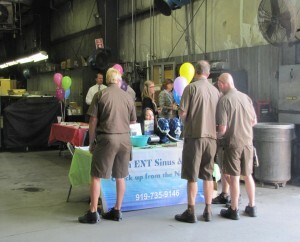 UPS puts tremendous value on the health of their employees and their annual health fair has become an integral part of this wellness initiative. Don’t miss your chance to become a wellness partner for this team.